Reaching that level 60 mark and saddling your epic mount with pride isn’t enough anymore, Blizzard have raised the stakes with new lands, foes and more loot than you’ll know what to do with. The Burning Crusade has only just begun. Having already slogged my virtual guts out to reach the pinnacle of my warlock character (at least in level terms) I threw myself into the public test realms to get a taste of what the new era had in stock. Of course there wasn’t much other than the world map now letting you select between Azeroth and Outland. Sure you could get a glimpse at the zones but that’s all you had, never-the-less I bolted for the Eastern Plaguelands. Storming north, a once tree felled road was now clear and the new territory of the Blood Elves was almost in reach. A portal vortex lay in wait, but, my curiosities ended there in an anxious sigh as a warning message was more than happy to reject my entry. So now with the expansion fully installed and the latest patch slapped in I headed for the Dark Portal, located in the lovely demon infested Blasted Lands. It was weird witnessing no hordes of elite demons guarding the place, so I charged straight through and into Blizzards latest creation. Appearing on the other side was …interesting. At first I was too focused on the gargantuan portal on Outlands side compared to the one I had stepped through. It’s freakin’ huge! Then came the time to see what these lands would hold for us adventurers, whom must be level 58+ to even gain access to Outland. This can be worked around should a Warlock perform a summons but most won’t simply because they’re too busy, like the rest, grabbing what isn’t nailed down. Hellfire Peninsula is the first zone everyone is greeted with, it’s a barren shattered landscape, the very ground looks angry as fire spits up randomly in all directions. Outland is very different from Azeroth, it has spinning debris and feels as if it could crack and splinter off at any moment. The Burning Legion, hordes of demons continuously assaulting the joint Alliance and Horde defence force of the Dark Portal. Fortunately there are plenty of NPCs to deal with the incursions or players would be overrun in seconds. A giant Pitlord commands the waves of demonic forces crashing against the stairs, a very apt illustration of what lies in wait soon enough. The problem with MMORPG games is that inevitably a lot of quests will feel very similar, go here and collect there, go here and activate this and one of those and then go here and kill the big guy and bring me his key etc. It would be impossible for Blizzard to make every quest unique, but they have already added a little extra here and there. One great little quest was a bombing run from the skies, while your character rides an armoured gryphon you drop bombs devastating enemies below. Not the most challenging but it was a nice little break from the norm, and a great way to seduce players to flying mounts – crafty Blizzard. The quests work exactly how they’ve always worked and you feel right at home as soon as you get your first few going. One thing I immediately noticed was the rate at which better gear drops now, within the first two hours I had picked up some good items and replaced some of the old junk. Green level items are more frequent and their stats show a general change in direction. Instead of usually just focusing on core attributes, a lot more has been added for critical strike percentages and general damage ratings. The loot is far more varied which makes a special find really special as it becomes harder to track down specific gear from either the zones or the Auction House. Ah yes the player economy, how has the expansion moulded this new era of entrepreneur? 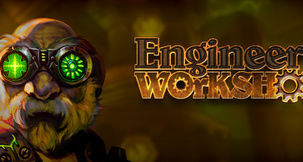 With new enemies have come lots of new gear and new resource materials. Understandably prices have been ranged from “merciful” to “a King’s ransom”, it will take some time before the market place settles down and everyone mediates more agreeable prices for drops. At level 60 I had a pittance in gold, just over 200, now having reached half way through level 64 I have a considerably more comfortable purse of 620. This has culminated through vendor and auction house sales or quest rewards. I have made no attempt to utilize my enchant profession. For earning the golden bucks, Outland is a very lucrative prospect. This surge of players in Outland all bursting through the portal has had some negative impacts too. Certain areas of monsters that need slaying for quests are over-killed; many an occasion has arose where I am waiting around for ages with others for the monsters to respawn. It can get insanely worse if you need to kill a boss, while some are polite enough to group with others so they can all claim the kill it’s still a major frustration. Also some of the drop rates for quest items like 'Timber Wolf Tails' or something is incredibly low and when matched with being over hunted, a lot of players vent there fury verbally through the channels. Of course an expansion this size will need tweaking, a MMORPG is never finished in the tweak department and Blizzard has a good track record for usually setting things right. One such “swing and a miss” affair at the moment is the Looking For Group tool which was hailed in the beginning as some mystical force ready to smite the arduous task of forming a group. Sadly it’s not really used and players tend to use the general chat channel for their “LFG” needs, many are chanting for the old ways to be reinstated, for many the new group tool is nothing but a useless button on the UI. Weekends see the most player traffic; all of Warcraft is truly alive during these peek 48 hours. Also tragically alive and living unscrupulously is the dreaded “loot lag”, an instrument of shear terror it can give any player a bad time. Although it seems to have been improving recently, having ones loot suspended in time is damn annoying. Given the breadth of the game and the number of gamers, this is simply an obstacle to live with some days. But enough server side nit-picks, lets get back to this fantastic content. Jewelcrafting has caught the eye and curiosity of the community, exactly what does it involve and how useful is the new bling? This new profession is setup much like the others; you have various trainers who can teach you new abilities dependant on your skill at that profession. 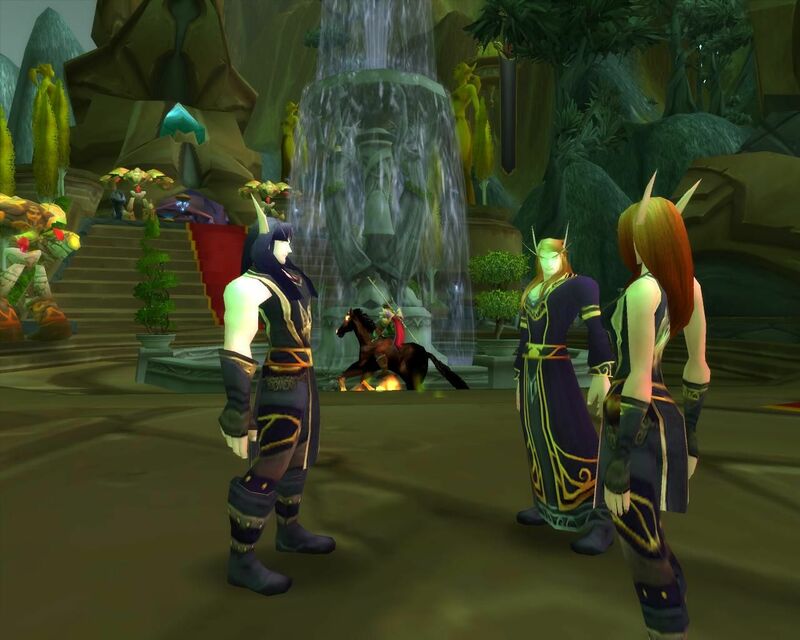 Pre-TBC, they had already placed in a number of NPCs about major cities to cater for the new crafting skill. Jewels once made can be socketed into equipment that have socketable slots on them, these then come in a variety of different colours. The colours affect what kind of stats can be positively altered; this means you’ll need to plan what you want carefully. At the moment the profession isn’t as main stream as the others which have been well established since the beginning. 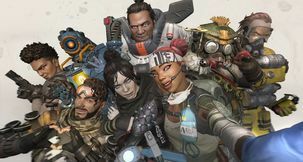 Many players for now may very well just ignore socketable items until a few more months have past and the community learns its ins and outs better. More PVP orientated challenges are now about the place, they usually involve just a capturing of a few towers. Don’t overlook these though, and even if you don’t like attacking other players you’d best thank your PVP nutcase counterparts. The reason these actually have a tangible value, other than bragging rights and some neat gear, is because they can bestow bonuses for the two factions. For example the towers in Terokkar Forest, if dominated by one side, activates a buff for the corresponding players giving 5% additional experience points in the zone, and an increase in attack power too. 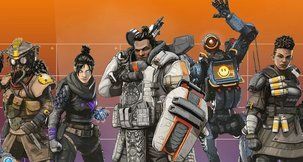 The new Arena PVP ladder system is another juicy way for anyone looking to get stuck in and get some prizes. Players can form up teams when in the arena and duke it out, winning teams can then be awarded some loot for their troubles. It’s certainly a new twist; previously a battlefield would be the only “arena” venue for an all out player fest. Of course they’d then be simply playing as Horde vs. the Alliance. Blizzard has certainly done a fantastic job so far in my travels through Outland, they’ve added some new original areas that feel completely unique from the many that already exist in the Eastern Kingdoms and Kalimdor. 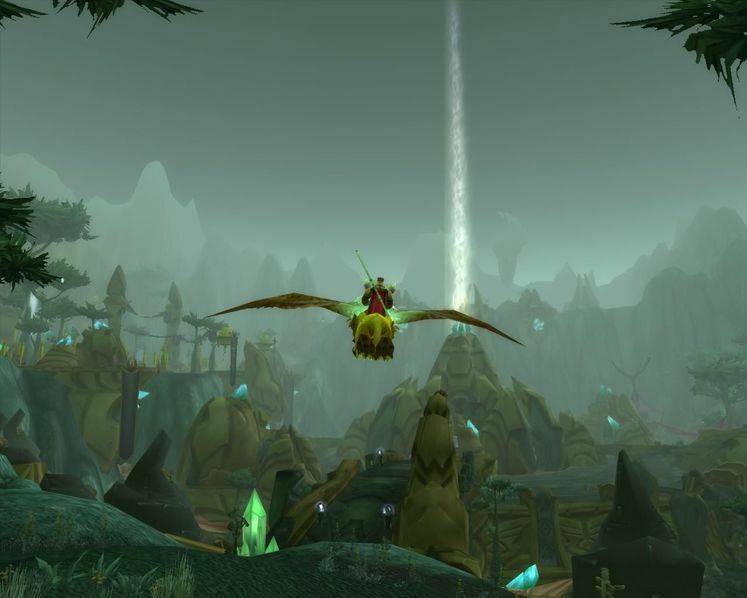 Of course there is even more to explore in Outland but that curiosity can only be satisfied with a flying mount at level 70. I can assure you I’m busting my virtual hump to clamber and scrape my way to the new sweet achievement perk. Controlling a flying mount is said to be just like you would swim in WoW, so you have complete freedom of movement when in the air. Fantastic because players can literally fly directly where they want to go and you might just happen to discover some secrets along the way. 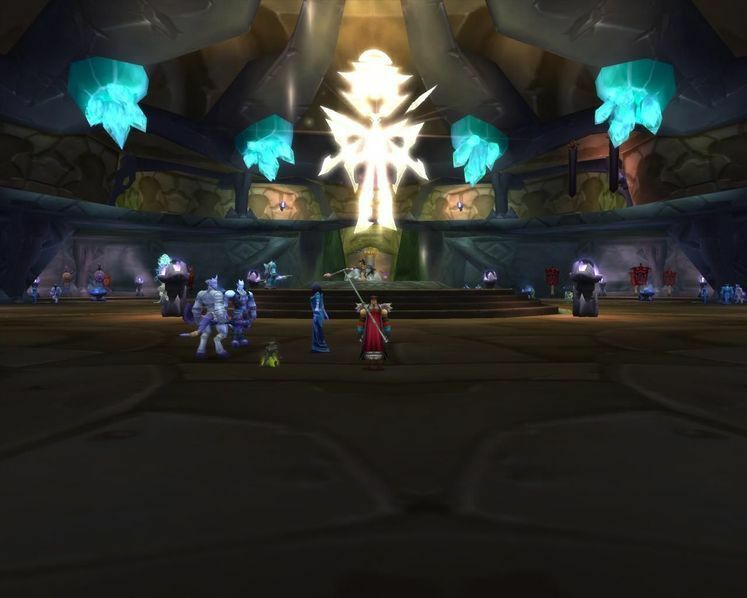 Dungeons, or instances as they’re typically called, are another area Blizzard has mixed up with new heroic modes of difficulty available. 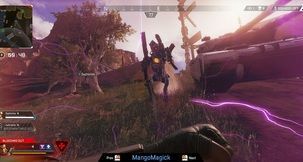 Now this new setting can only be unlocked once you have gained sufficient reputation with a faction, so for example Coilfang Reservoir can be set to heroic but only if you have bought the special key, and you’ll need to be revered with the Cenarion Expedition for that. If you want that lovely loot then players really will have to work to earn that right, it really gives a sense of achievement. Flying mounts are but the first taste of reaching the top (no pun intended), certain areas of dungeons can only be reached if you’ve got a winged friend too. 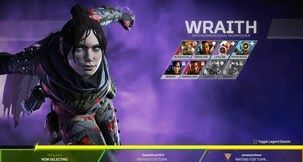 So what impact has the new races had on the game? 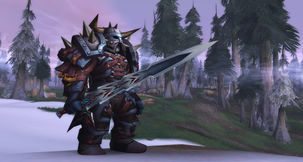 Well for one it has the given the community a chance to explore two classes that have previously been exclusive to either Horde of Alliance; Shaman and Paladin. The new Horde race is fantastic, a beautiful looking elf race who are completely obsessed with mana and the power it grants. Their pursuit of the arcane and their majesty are reflected in their architecture, red and golden laced towers stretch high into the skies with a hint of nature. You’ll be seeing a number of Blood Elf Paladins running about the place now that for the first time the Horde can use this class. 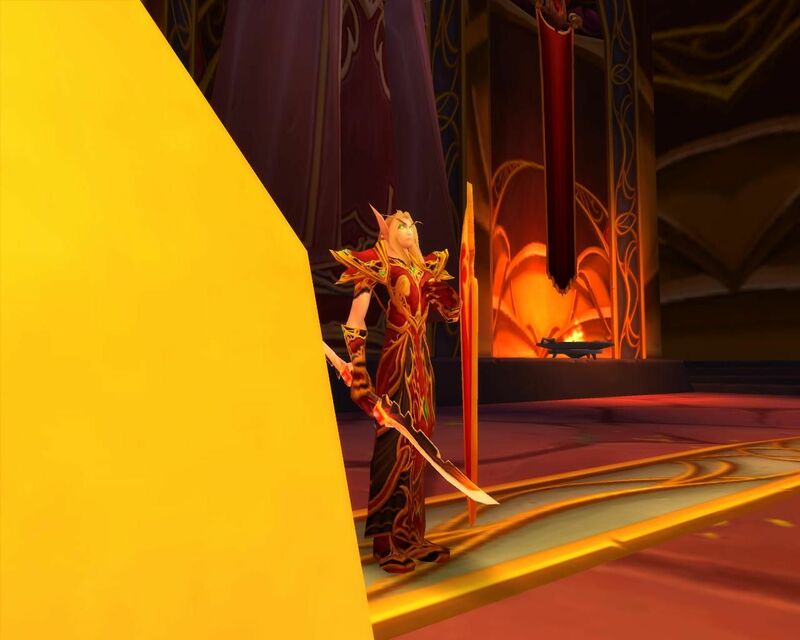 The Blood Elves are noticeably different from their Night Elf counterparts. For one they possess racial abilities to siphon off opponents mana, in fact I’ve not known another where racial abilities are used so much. Their starting lands are gentle and easy just like the other low level newbie zones; it’s tragic in away because rising to around level 20 is the death knell for exploring in their territories. Quests dry up and you have to move on, then it’s marching through familiar grounds and quest lines again. Still it’s refreshing and nice to see while it lasts the first time through. The new Silvermoon City, the Blood Elf capitol, is a very large metropolis and is completely “dark” and selfish in a seductive manner. Blizzard should be eternally proud of their art departments, its fantastic work though the actual layout could come into question. Its design can be rather annoying running through without a mount, especially if you realised you’ve taken a wrong turn. Otherwise the visual experience along with the great new musical scores composed with the zones is a damn treat. A weird blue hoofed race that embrace the light and have decided to join the Alliance. They are the most alien looking of all the species of Azeroth and with good reason; they crashed landed while fleeing the Burning Legion from their home world. They’re like kind and caring “little giants” I guess, it’s hard to describe them but they look completely fresh in their designs. Seeing as how they crashed landed in their huge ship, they’re technologically advanced and so have very sleek building designs. Large crystal shards litter their home zones; everything about them looks peaceful and especially white or blue. I decided to try out a Shaman Draenai, this was both my first time picking the class and race. 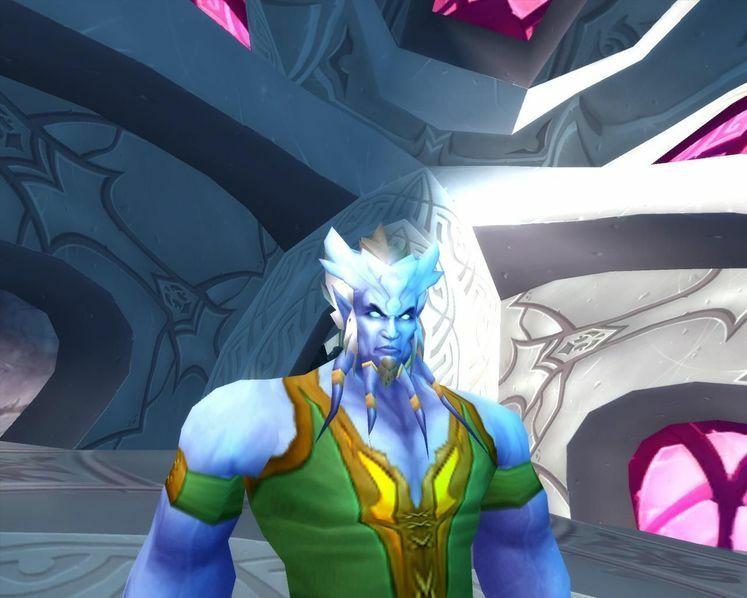 The Alliance can finally master the elements and I was rather enjoying my time as a totem wielding gentle hoof man-beast. 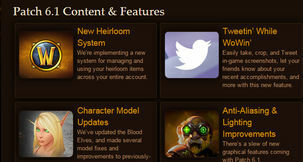 Yes despite all the new enemies in the farthest reaches of Warcraft, Blizzard can still amaze us with original work. 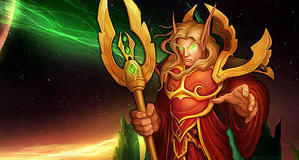 I still can’t decide which I like better, the peace loving Draenai or the mana seductive Blood Elves. I guess I’m leaning more toward the darker path, I just can’t say no to evil looking red and gold towers. The shear scope of the World of Warcraft makes it near impossible to remark about everything, and although I feel this game should have nothing but compliments flying out the wazzo there’s simply not enough time. The experience constantly shifts; mostly you’ll be astounded and glad to be having a wonderful online time with friends and/or just by yourself. Yes they’ll be some days when not everything pans well *cough* loot lag *cough* but overall WoW is still growing with a huge membership of over 8 million players. Blizzard has the chemistry right, but it wouldn’t be fair to just lay all the success on the developers. 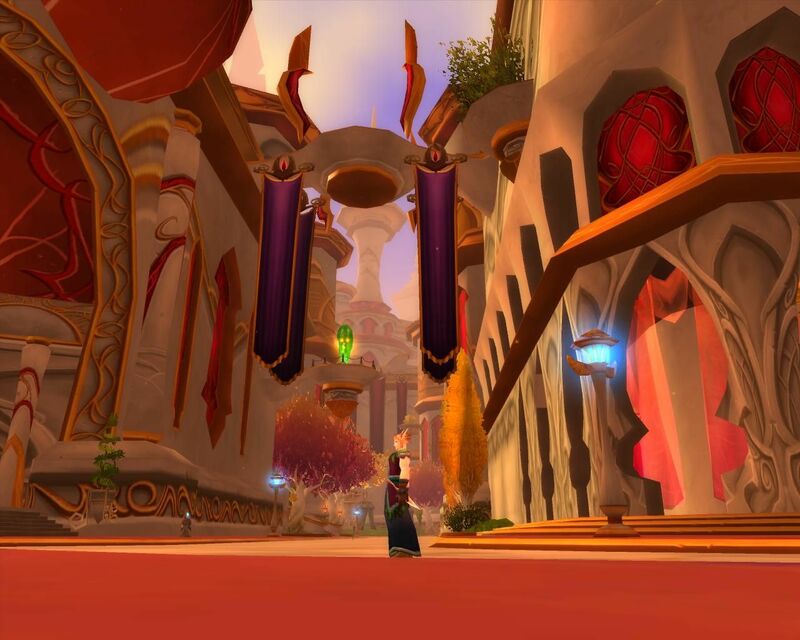 The community itself makes Warcraft truly special, there are a few bad apples but the mass majority are there and they are, for the most part, invaluable in making the World of Warcraft everything it is today. Only time will tell if The Burning Crusade is a real meaty and exciting adventure just like the original. Everything I’ve had the pleasure of experiencing so far is telling me TBC leaves no regrets in the mind. A mysterious new ally against the Burning Legions Why are you reading this? Play the game! Go! If you’re thinking of jumping in to the WoW universe, or already have then make sure you get yourself a copy of this goodie packed expansion. It’s teeming with new loot, better opportunities to stick it to your fellow players and has even richer music to fit the mood. I’d like to wrap up now with a well balanced, logical and mentally stimulating repetition of two resounding words. Get it! Get it! Get it! Get it! No, seriously, that portal is freakin’ huge! HUGE I SAY!